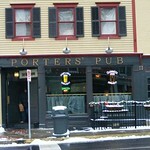 Porters' Pub is a Cozy 1850's Irish Pub only 2 minutes drive from Center Square and The Easton State Theatre. 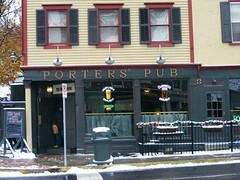 Open 7 days, 11 am - 2 am for casual fare including lunch, dinner, late night snacks and Sunday Champagne Brunch. Our intimate dining room features stone walls & local art. The Pub's mahogany bar boasts over 75 imported and micro brews, wine list and single malt scotch and bourbon list. Outdoor tables are available in season.